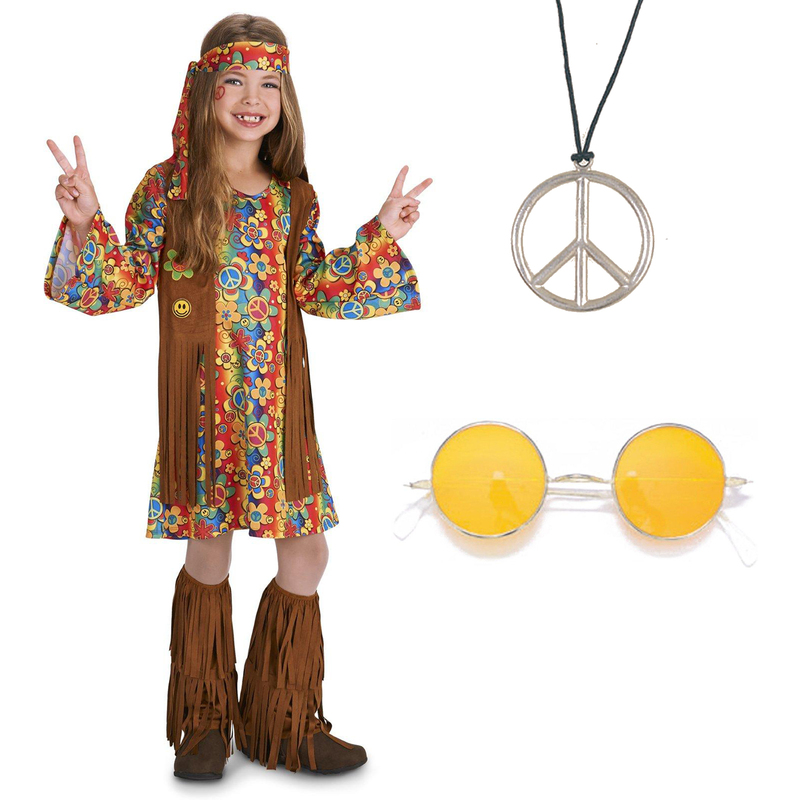 Dressing like a hippie let's us capture the freedom and spirit of those free lovin' rebels. 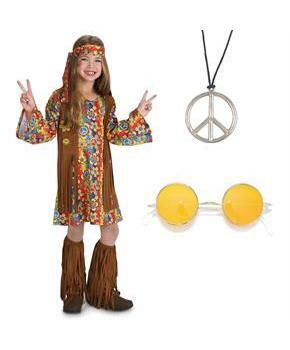 That's why this groovy fringe 60's hippie child costume is all the rage for even the littlest wanna be hippie. Set the vibe with the outta sight poly-knit flower power dress with attached faux suede vest. The embroidered patches featuring all the hip symbols of the 60s -- flowers, peace signs and smiley faces -- makes a boss statement. Add in the fringed faux suede leg warmers and headpiece for a far-out finish. Kit includes dress with attached vest, shoe covers, headpiece, glasses, and necklace.